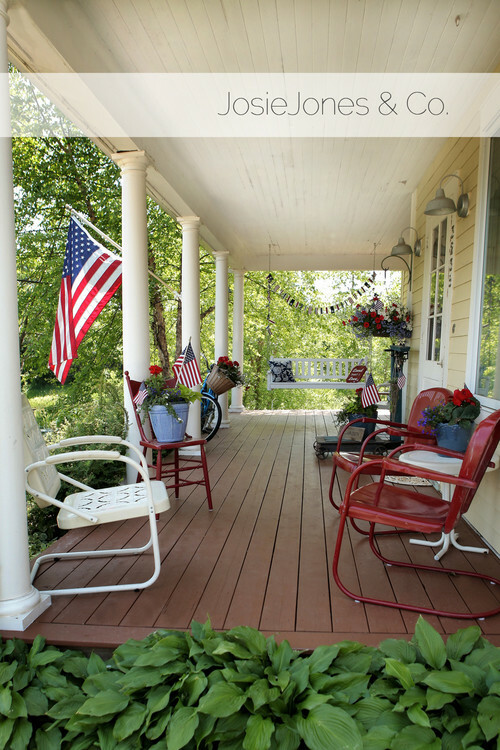 Decorating your home in red, white and blue during the summertime is perfectly festive and seasonal, but if you want to incorporate these colors into your home all year long, here are some tips to do so. and stripes and even flags themselves are the best ways to do this. the room is tied together in colorful harmony. The room below is adorned in red, white and blue, but that isn’t necessarily where your mind went when you glanced at it. Using different neutrals along with the white, different shades of red and blues, as well as incorporating colorful furniture gives the room Americana charm while maintaining a more modern look. which makes any room more cozy. 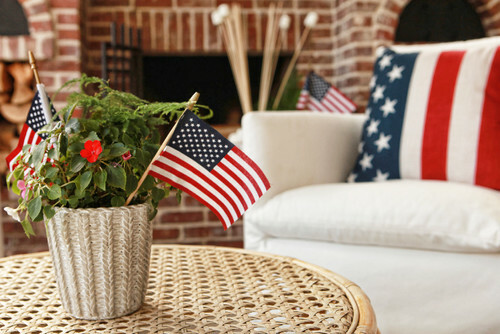 Independence Day is almost here, and while your seasonal decorations uplift the Americana charm of your home, you may be considering keeping this style throughout the year. Here are a variety of designs for keeping the red, white and blue fresh and updated all year long. And if you proudly utilize any of these techniques, share them with us below, on Twitter or on our Facebook page! Perhaps the most basic technique in room design. Paint in neutral tones, incorporate neutral materials and stick with white, gray or natural toned furniture and then add red, white and blue accents for color and Americana style. Maybe you’ll switch up a plain cushion for a patterned one, or add USA inspired pillows to the sofa, a patriotic print above the mantel, or even fresh flowers to a Made in the USA red, white and blue vase. 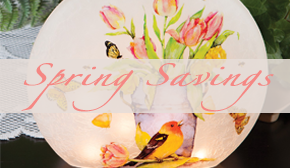 The possibilities are nearly endless, and you can easily switch out pillows, throws and other home accents throughout the year to keep the look fresh. 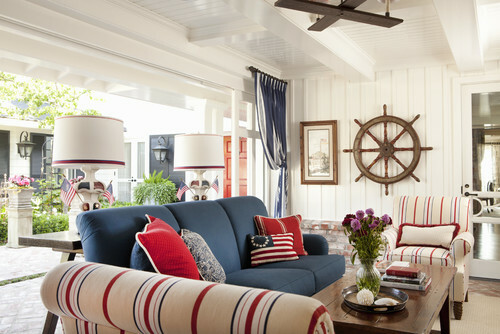 A timeless look, nautical style is a classic way to incorporate red, white and blue into the rooms of your home all year long. 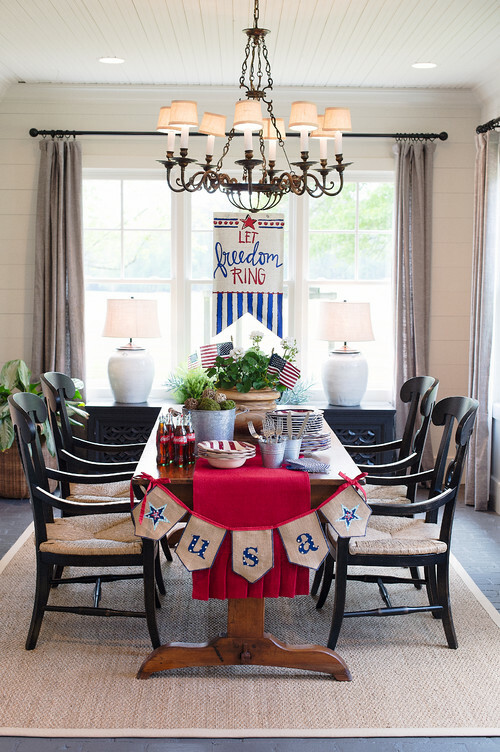 Think nautical stripes with differing thickness, rustic wood tables to complement solid blue or white chairs and sofas, and primitive flags, prints and vintage inspired lamps to maintain the traditional look past the fourth of July. And who doesn’t like to be reminded of the ocean when relaxing at home? 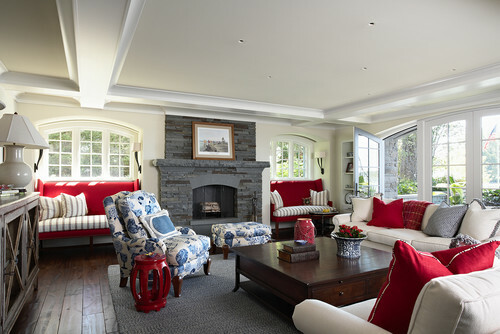 The previous two techniques call for bold accents, but lighter hues and minimal accents can still offer statement-making patriotic style. 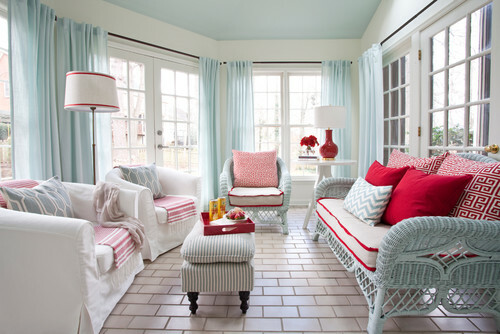 The sunroom below uses sky blue sheer curtains that match the wicker furniture, striped ottoman and throw pillows, while a few rich red accents are balanced by softer reds and white. 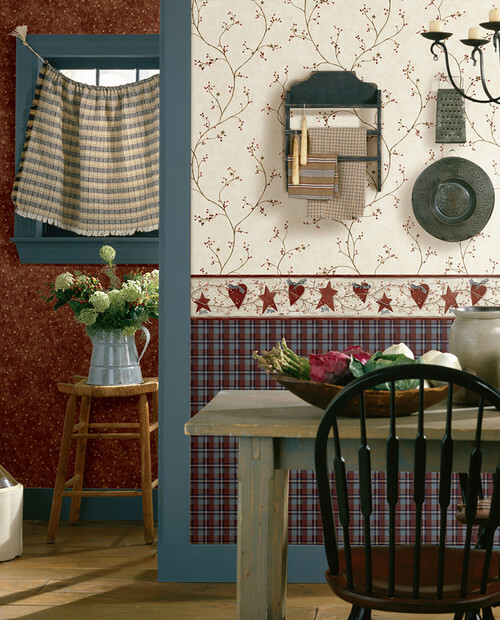 The soft look adds a tranquil feel to the room while offering plenty of Americana appeal. 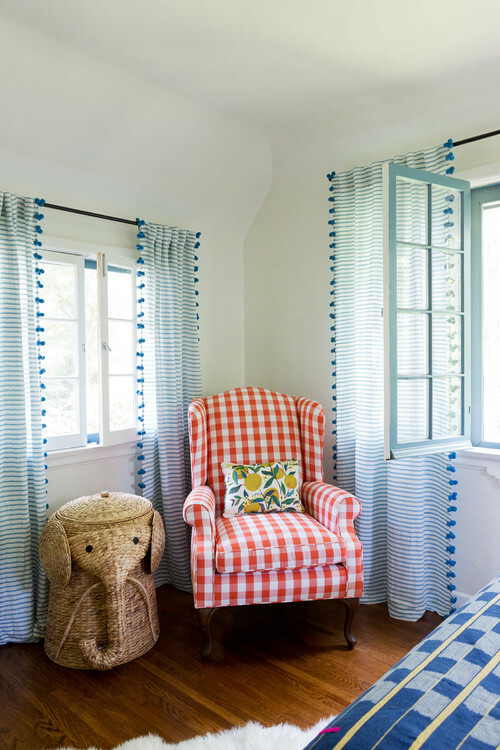 A pattern overload is not as overwhelming (to look at or style) in a small space like a den, reading area or breakfast nook, especially one with a lot of natural light. This red, white and blue room does not use the hues that you may be used to, but the tan walls, couch and antiqued furniture keep the room grounded while spirited curtains and pillows hold the eye’s attention. The coral pillow can be replaced with one bearing the American flag during the Fourth of July, and then switched back; just remember to think a little more outside of the box for a unique Americana look. 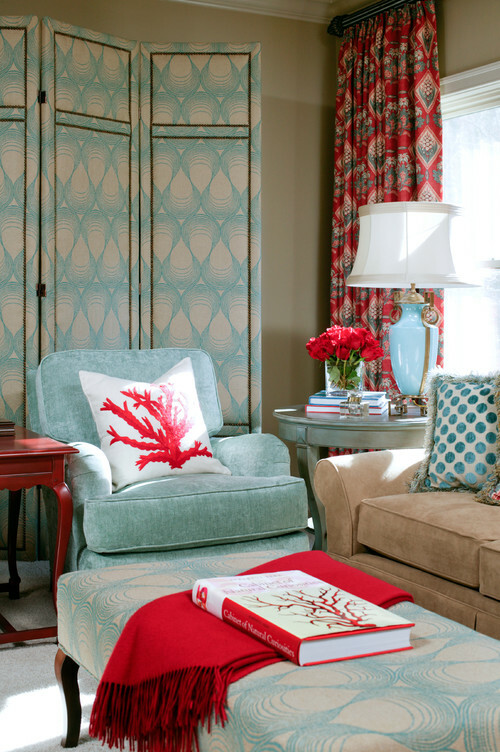 Try out different combinations of red, white and blues – not just with patterns but with different shades and materials. 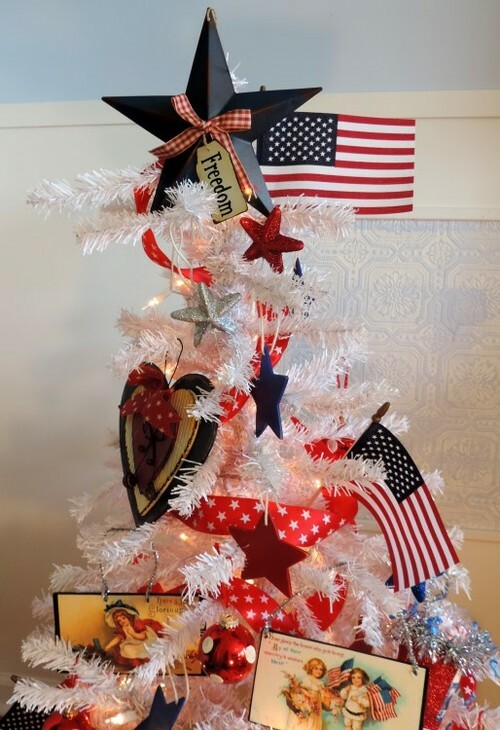 Keep that bunny with an American flag pillow out all year long, and switch out a solid red pillow for an American flag version during the summer holiday. 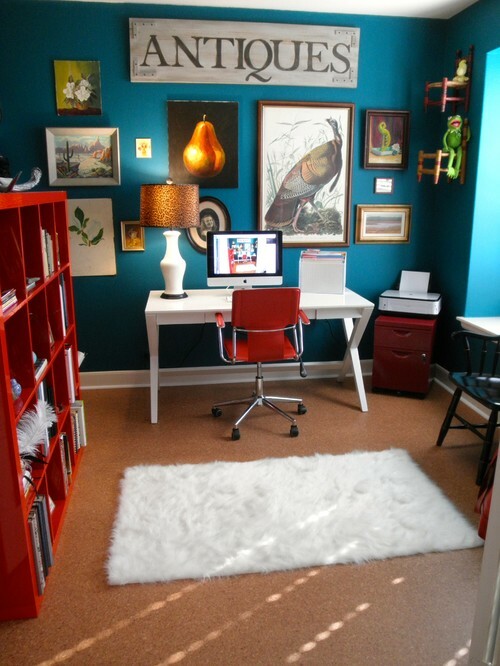 Don’t be afraid to factor painting into the equation, or create a less drastic and time-consuming space by decorating a neutral chair in a red throw and blue hooked wool pillow, placing a white rug on the floor beneath it. 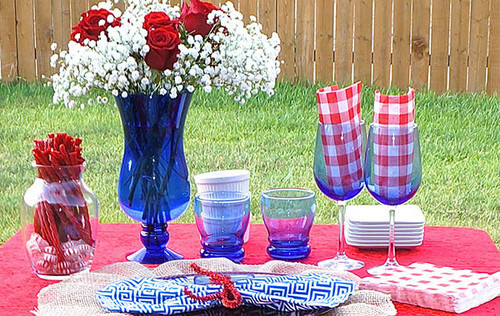 We hope you have a lovely Fourth of July, and happy decorating in the red, white and blue!